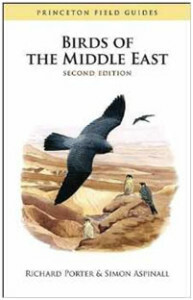 Birds of the Middle East (Porter and Aspinall). This book covers Turkey, Syria, Israel, Iraq, Iran, Jordan, and the Saudi Peninsula. It has very good plates and range maps, showing migration and resident/migrant ranges. It contains good information on each species and a nice comparison chart for gulls. 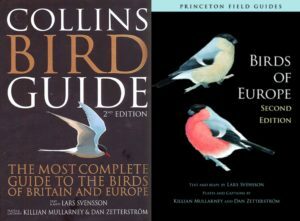 We were disappointed with the app (e-guide) version of the above book because it lacked so many of the bird sounds – for bird sounds we recommend Collins/Birds of Europe. The famous Collins guide is also available in large format but it is no good in the field (far too bulky). The app version of this guide is highly recommended and has all the bird calls. 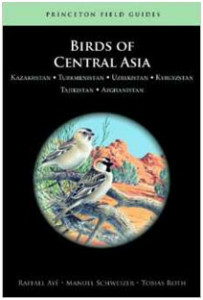 Birds of Central Asia (Aye, Scheizer and Roth). This book covers the countries of Kazakhstan, Turkmenistan, Uzbekistan, Kyrgyzstan, Tajikistan, and Afghanistan. It has a very similar structure to “Birds of the Middle East” above, with similar plates, maps, and information. 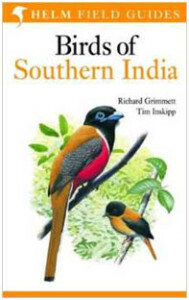 The Birds of South Asia: The Ripley Guide (Rasmussen and Anderson). This two-volume set covers Pakistan, India, Nepal, Bhutan, Bangladesh, Sri Lanka, and west Myanmar, plus the Andaman Islands. This much-hailed work is extremely detailed and includes superb plates in the first volume and a huge amount of text in the second volume. The first volume is really the field guide, while the second volume is filled with detailed species accounts, now including sonograms. Fully revised and updated from the first edition, with many new taxonomic updates, plus the cover is now a durable soft cover rather than the old hardbound book. Get both: take the field guide into the field with you and compare notes with the species accounts in volume 2 at night. 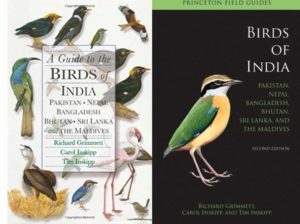 A guide to the Birds of India, Pakistan, Nepal, Bangladesh, Bhutan, Sri Lanka and the Maldives ( Grimmett, Inskipp and Inskipp). These authors have been amazingly productive and have produced a massive hardcover tome (pictured on the right), rich with information and good plates plus range maps, as well as field guide versions (shown on the left). It is more of a reference guide, though, that has spawned many smaller field guides. The updated version of the field guide (left; as opposed to the handbook pictured on the right) now includes range maps and text opposite the plates in a more conventional style, a much-needed improvement over the first edition. India regional guides (same authors as the Indian subcontinent guide shown above – these books are subsets of the full guide above). Birds of Northern India covers the central north section of India. Owing to the lack of range maps, it a bit hard to follow at times. Nevertheless, this is a nice further distillation of the above book for the relevant areas covered: India is a vast country and it does help to break it into sections. Birds of Southern India is the companion guide to the above, covering the southern half of India, based on plates from the complete guide. Birds of Pakistan is the subset book for Pakistan, of the larger Indian subcontinent guide by Grimmett and the two Inskipps. 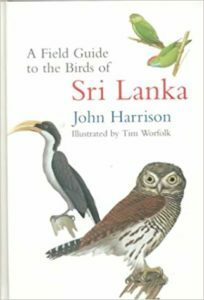 Birds of Sri Lanka is another field guide condensed from the above, but this guide includes range maps and much more information as well as site guides, vagrants, and family paragraphs. 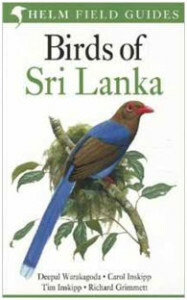 A field guide to the Birds of Sri Lanka (Harrison). A useful guide with decent illustrations and species information. Unfortunately the distribution maps are tiny and the illustrations and text are not opposite. 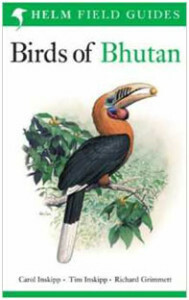 Birds of Bhutan (Inskipp, Inskipp and Grimmett ) covers all 600+ species seen in Bhutan, with plates but no range maps, so you’ll need to follow regional abbreviations. Good plates, but brief text. 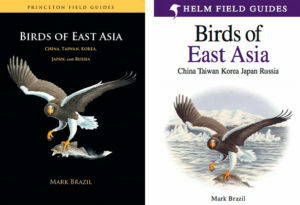 Birds of East Asia (Brazil). This book covers Korea, Japan, Taiwan and the eastern parts of China and Russia and is useful guide to have along when visiting this large area. The illustrations and text/maps are opposite one another and all aid identification. Birds of Japan (Brazil) is set for publication in early 2018. 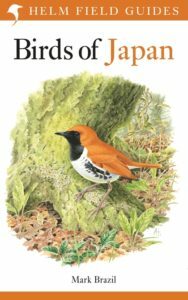 If this book is anything like the above guide it is sure to be THE field guide to take along on a Japanese birding trip. 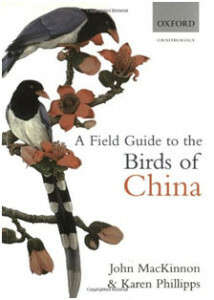 A Field Guide to the birds of China (MacKinnon and Phillipps). This beautiful book is very complete and well-illustrated. It’s also very pioneering, as it’s the first field guide to cover the whole of China and Taiwan. It has room for improvement (e.g.  taxonomic updates especially for the Phylloscopus leaf warblers which have radiated like crazy in China). The book is quite hefty, but it needs to be as China is amazingly bird-diverse. The plates and range maps are facing, with text following in a section of species accounts after the plates. The accounts are brief, but, considering that there are 1329 species covered in this book, it would weigh even more if it were more detailed: field guides (especially for large and bird-rich countries like China!) are always a balance between practicality for carrying in the field versus volume of text. 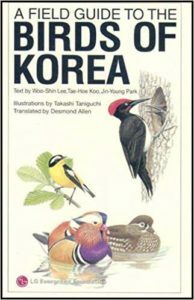 A field guide to the Birds of Korea (Lee, Koo and Park) is about the only field guide to focus on the Korean Peninsula, although it does also include areas throughout eastern/southeastern Asian. It is an easy-to-use guide with good illustrations, map and species information. 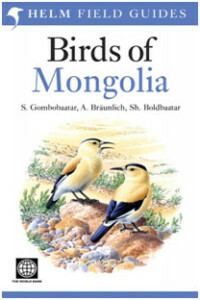 Birds of Mongolia (Gombobaatar, Leahy and Boldbaatar). This book should be considered an indispensable guide to any birders visiting the country. Compiled by some of the country’s top ornithologists it has everything a field guide needs; good illustrations, clear distribution maps and detailed species text. A Field Guide to Birds of Russian and Adjacent Territories (Flint et al.) covers the former Soviet Union and is the only book available for this whole region in a field guide style. The plates are OK. 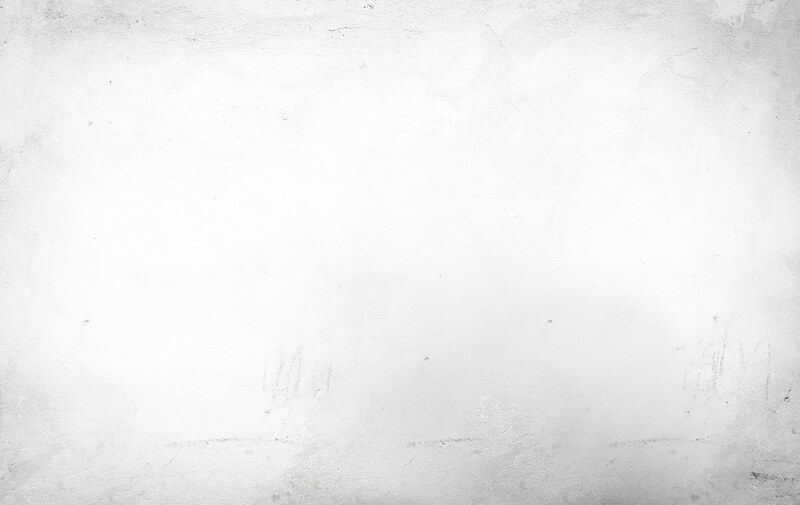 The information is brief. It has range maps, but most of the taxonomy is outdated. However, this is all there is at the moment. 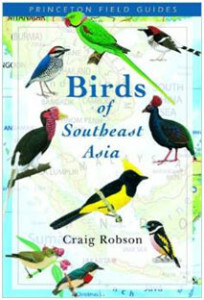 Birds of Southeast Asia (Robson) covers the whole of the Siam Peninsula, including Myanmar, Thailand, Cambodia, Laos, and Vietnam. The plates are very good, but there are no range maps, and the taxonomic order seems slightly strange. Overall, this is a very good guide though. Birds of Thailand (Robson). This updated version includes Thai names but maintains the format of the old guide, in that there are range maps, and the plates are extrapolated from the larger field guide by the same author as the previous book. A hardcover version is available but softcover books are far more resilient for birders who use their books on trips a lot, rather than for armchair birding! 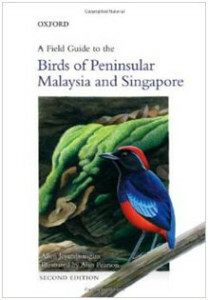 Birds of Peninsular Malaysia and Singapore (Jeyarajasingam and Pearson). This is the second edition, covering all the species known to occur in the region. The artwork is good (but not great) and there are no range maps, but the information is relevant and fairly comprehensive. All the plates are at the beginning with accounts following, in a more old-school style and not as good as the modern style of field guide. 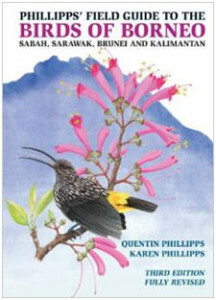 Birds of Borneo (Phillipps and Phillipps). 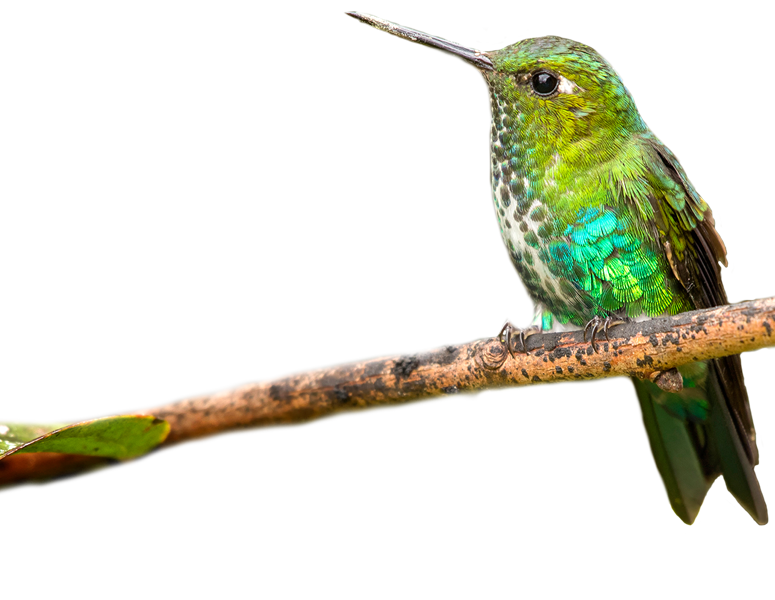 This is the most complete guide to the island and all its endemics. The book is filled with great information on birding sites and lore, and with good species accounts. The artwork is excellent and the range maps are nice. 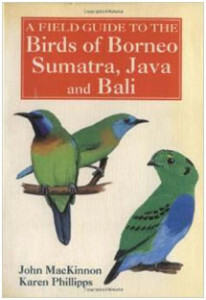 Birds of Borneo, Sumatra, Java and Bali (MacKinnon and Phillipps). Though this is an older publication and there is now a more up-to-date guide to Borneo, this is still the best guide for Sumatra, Java, and Bali. But it has no range maps, and all the artwork is at the beginning with species accounts following. A photographic guide to the birds of Indonesia (Strange). Second edition. We don’t generally recommend photographic guides, but since the previous book is out of print, this is the best we have for Sulawesi, Halmahera, the Lesser Sundas, etc. It’s unfortunately not at all comprehensive(covering only around 60 % of the Indonesian avifauna), but it does cover 900 species including 200 endemics. Birders to parts of Indonesia might want to explore alternatives to traditional field guides, such as downloading illustrated checklists from the online version of the Handbook of the Birds of the World. 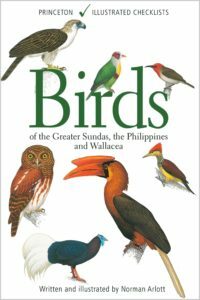 Birds of the Philippines (Kennedy et. al.). This is another must-have book and we highly recommend it. It will encourage you to do a Philippines birding trip soonest, since the species are so spectacular (take a look at Celestial Monarch, for example!